August 25, 2017 – Beginning at 7:00 AM Monday, August 28, northbound Schuylkill Avenue near 30th Street Station in West Philadelphia will be closed between Walnut Street and Chestnut Street for approximately two years for rehabilitation of two structures over Interstate 76. The closure of northbound Schuylkill Avenue will prohibit right turns by motorists and cyclists heading into West Philadelphia using the Walnut Street bridge over the Schuylkill River. Walnut Street motorists heading for 30th Street Station, the ramp to westbound I-76, and the ramp to eastbound Interstate 676 will be detoured west to 30th Street, then right on 30th Street to Chestnut Street, and right on Chestnut Street to Schuylkill Avenue, then left on Schuylkill Avenue to Market Street and the ramps. For pedestrians, the sidewalk on the east side of Schuylkill Avenue also will close, as will crosswalks on the south side of Chestnut Street at Schuylkill Avenue and on the north side of Walnut Street at Schuylkill Avenue. The sidewalk on the west side of Schuylkill Avenue will remain open. In addition to the closure, intermittent lane restrictions will be in place on northbound and southbound Schuylkill Avenue between Market Street and Chestnut Street, and on southbound Schuylkill Avenue between Chestnut Street and Walnut Street on Monday, August 28, through Friday, September 1, from 7:00 AM to 3:30 PM, and from 8:00 PM to 6:00 AM the following morning, for rehabilitation of the Schuylkill Avenue viaducts’ steel superstructure. 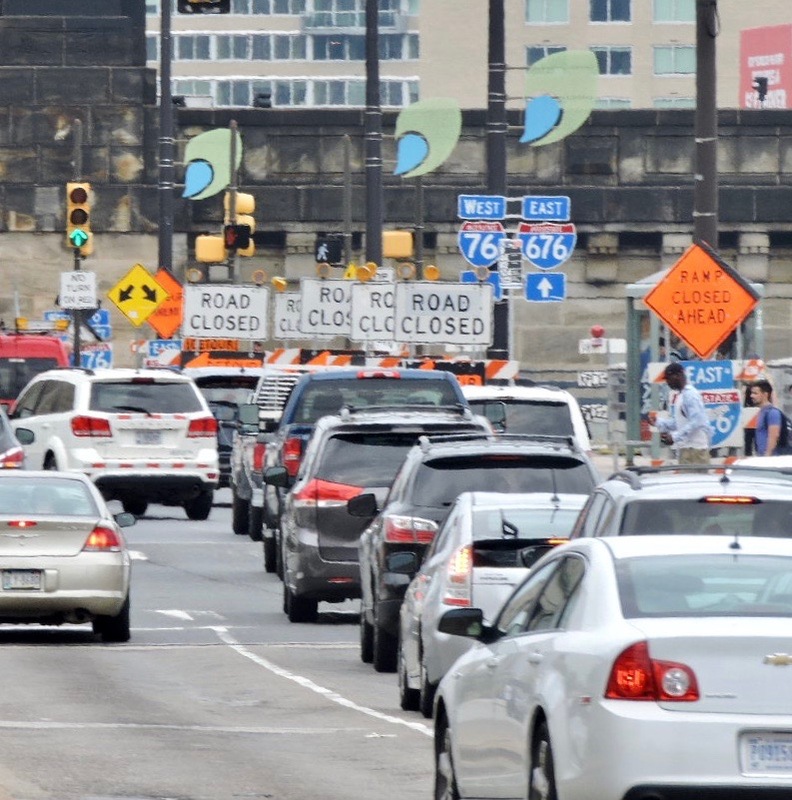 During weekday work on Schuylkill Avenue, the contractor must maintain a minimum of two lanes of traffic northbound between Chestnut Street and Market Street, and at least one lane of traffic southbound between Market Street and Walnut Street. Motorists are advised to allow additional time for travel through the work zone because backups and delays may occur. The contractor's schedule is dependent on the weather. 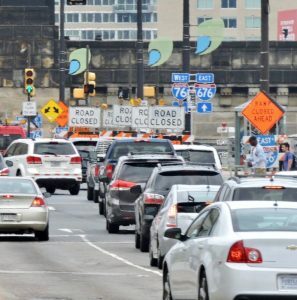 The work is part of PennDOT’s $103.6 million project to rehabilitate the Chestnut Street bridge over the Schuylkill River and eight other nearby structures, including those carrying Schuylkill Avenue over I-76 between Walnut Street and Chestnut Street, and between Chestnut Street and Market Street.